I’ve been playing with summery color palettes all week, and Wild Florida is always on my mind. 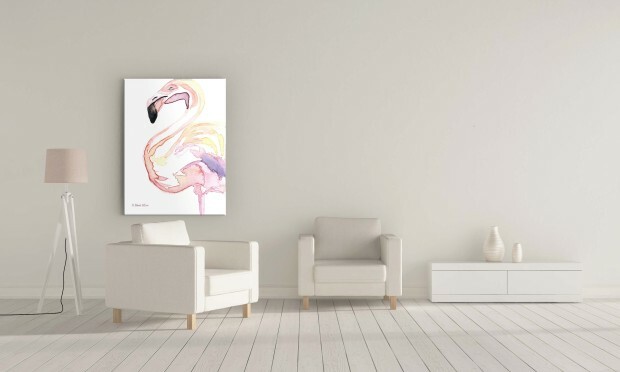 So of course, the elegant and totally unique flamingo was bound to make another appearance in my studio sooner or later. Here’s to the first of a new summer series! On a related note, I’ll be at the Orlando International Fringe Festival Visual Fringe lawn market Thursday & Saturday, right next to the Poetry Vending Machine just past the Flamingo Lounge. so swing by if you’re Fringing! Click here to customize a flamboyant print to fit your space. Love it! Flamingos are awesome.